Each year we host the Wellness Farmers’ Market to bring local, fresh foods to our friends and neighbours. This year we have a range of vendors lined up to bring you a variety of tastes. Join us in front of our entry doors at 1075 Leila Avenue to bring home the best of the season. 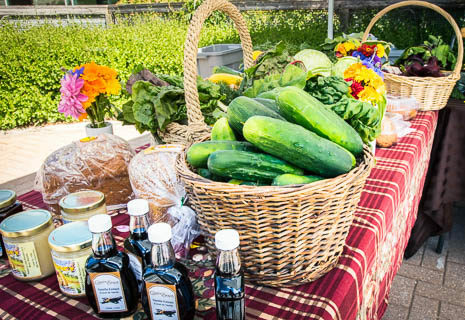 The Wellness Farmers’ Market is open to all and focuses on wholesome food items. Produce varies by vendor and by growing season. Find us and like us on Facebook for pictures from our market. Serving ketchup up as a dip with some pureed sweet potato mixed in.